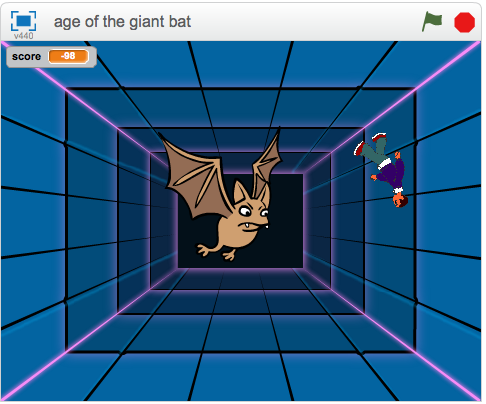 The second week of my two Code Clubs went better than the first week and some fun, creative Scratch projects were made. I am pleased. 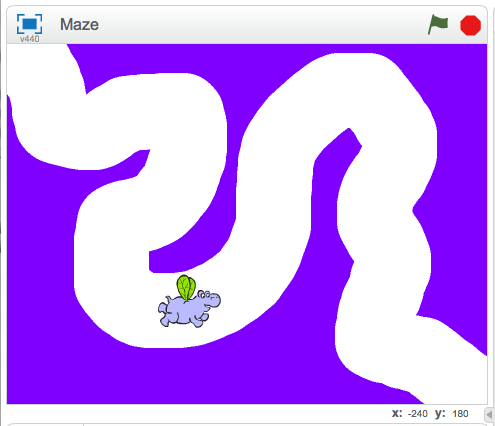 Wednesdays’ club made maze games using Scratch 2 Offline editor. I talked about defining initial conditions. If you are going to move the Sprite through the maze you’ll need to set up where you want the Sprite to start. I was able to reinforce this notion with those who set up other items for the maze runners to touch and then have those item “hide”. If you change the way the Sprite looks (hide), you’ll need to set up the way the Sprite starts off looking (show). I also talked about conditionals and ways Sprite can “sense” things. They’ll get more practice with this concept again with next week’s project. 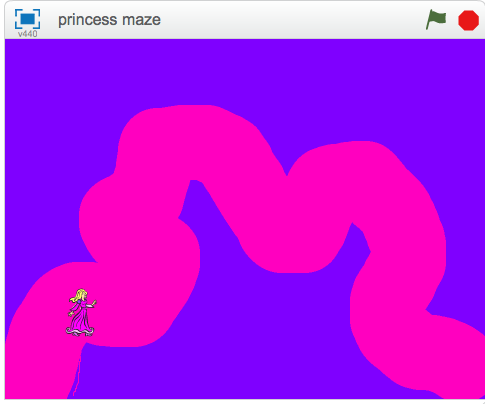 Most students were successful and their maze games were very creative. I think a number of students were surprised by their success. Unfortunately a number of the games weren’t saved or saved “temporarily” on their desktop which isn’t permanent in student profiles. We will go over this again. One student noticed this on Friday but was able to re-create her game during her free time that day. One thing I noticed that would make our time together even better is if the students relied more on each other’s help. I mentioned to the student that this is a club and we are going to work together to learn, but I’m going to re-iterate that next week and specifically have them ask an elbow partner first, then ask for help from me or Josh, my high school volunteer. This will help later when they will be doing their individual or pair projects and will need to be more independent. Thursday’s club went better, too. 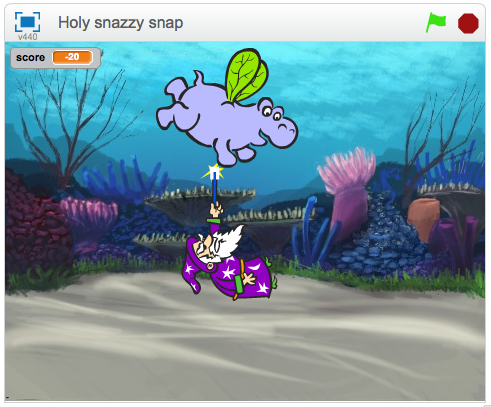 They tried Felix and Herbert from Code Club World’s archived Scratch projects. Of course they all put their own spin on things, being a creative bunch. I also talked about conditionals and ways Sprite can “sense” things. They were also more successful although it took them a bit longer to buy into to the project even though I showed them the example working project. They were really interested in getting the costumes to change to simulate walking or flying. They also wanted to learn to add a score. 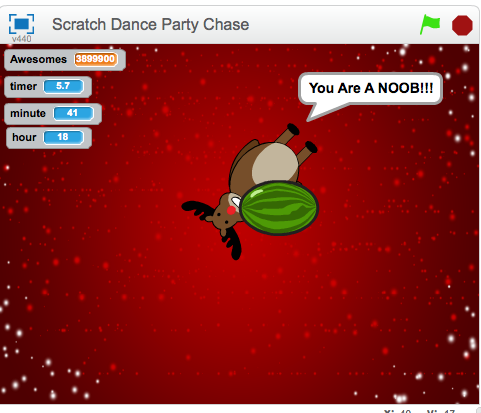 They weren’t phased at all by switching to Scratch 2 Offline editor. 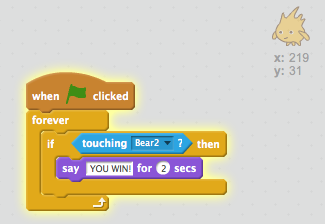 One student said he had been playing with Scratch all week whenever he had a chance. 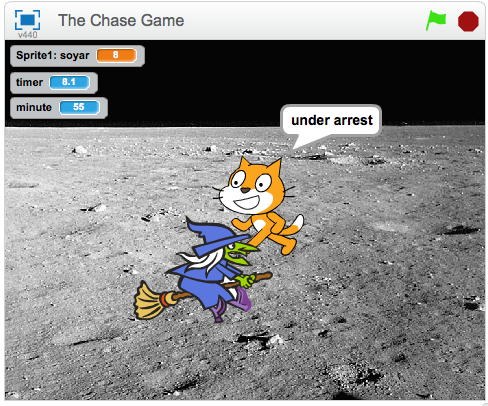 Two others said their parents had downloaded Scratch at home. This group showed a more collaborative spirit. 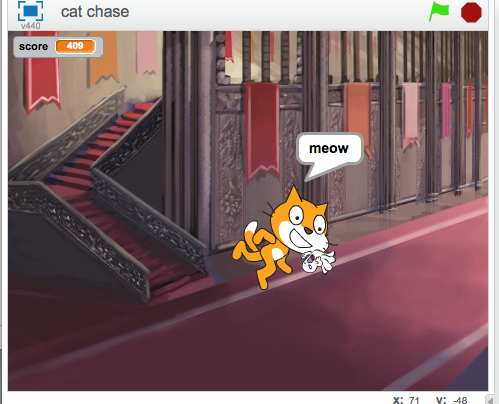 I helped one student get a “soundtrack” to play in the background and he helped others add the code to their projects. Another student announced he knew how to add a timer and was willing to show others. I do enjoy this, you know. Just saying. I spent some time over the weekend hashing out the project plan and learning objectives for my two code clubs. I feel better with a plan and ideas in mind and on paper. One student came up to me today and said, “I wish Code Club was everyday! !” What an awesome sentiment. 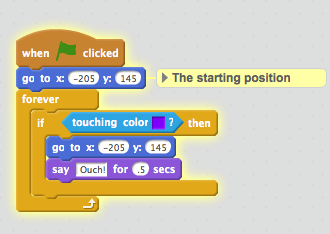 This week I’d like to focus on Initial Conditions, Conditionals and Sensing blocks. 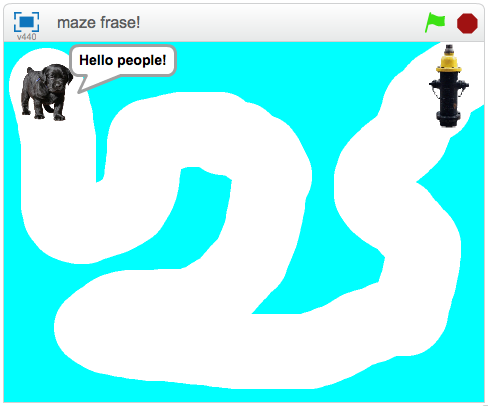 To that end, I’ve updated the maze project to use for Scratch 2.0. And we will try it out tomorrow. I wonder if I’ll have time to mention the “Think like a Programmer” ideas of make one change, test it, make another change, test it? Then next week both clubs can work on the same project.